Wirelessly connect to any room in your house! It's never been easier to put a phone in every room of your house...even your garage. 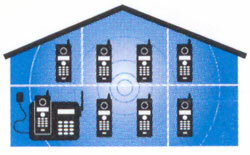 Expansion handsets simply plug into existing AC outlets and build up to a 4-phone system with 1 phone jack! 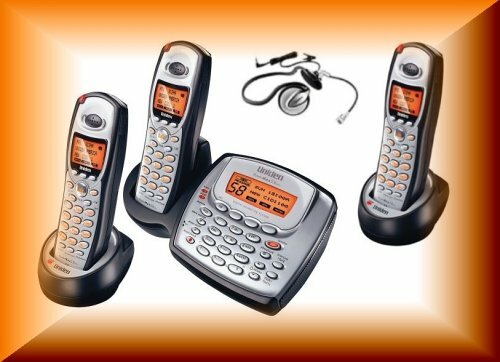 These expansion handsets can be added to an existing base station so that you can create the cordless "system" that works best for you! 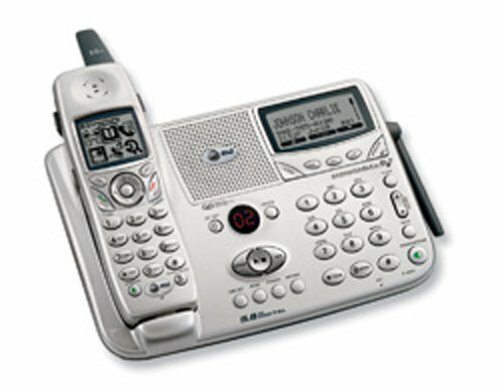 This optional expansion handset is for use with Motorola MD400 Series Digital Phones. Handset Speakerphone. Gather everyone around and enjoy the conversation. Long life battery. Rechargeable batteries provide up to 5 days standby time. 2 This feature requires subscription to the Caller ID service from your local telephone company. Caller ID, name and number service is not available in all areas. Less than 8 months after I purchased this phone, all of the number buttons stopped working and I already had to purchase a new battery.Luckily, the one year warranty was still in effect so I was able to return it to the company and they sent me a new one.We had the new one for about 4 months when all of the number buttons stopped working on it and the battery needed replaced once again!!! !This was a very expensive phone and the quality is terrible.Because of this experience, I will never purchase another motorola phone again, and I will advise others against purchasing motorola products. Yuk. Bad battery, buttons stopped after few months. I bought 3 of these phones, within a few months all of them had battery life issues and the buttons on 2 phones don't work anymore. I have two of these phones and both started to have trouble with one number--eventually the whole keypad goes out.I have heard of others having the same problem.Motorola was no help--told me to clean the keypad.They obviously know it is a consistent problem and flawed phone.DO NOT BUY! I've owned my phone for over a year and have two of them and have had no trouble with them. They are solid and reliable and better than most phones I've had including panasonic. Maybe the other people toss them on the floor all of the time or take showers with them, I'm not sure? I would buy them again in a second but fortunately I won't have to since they have never given me any problems. 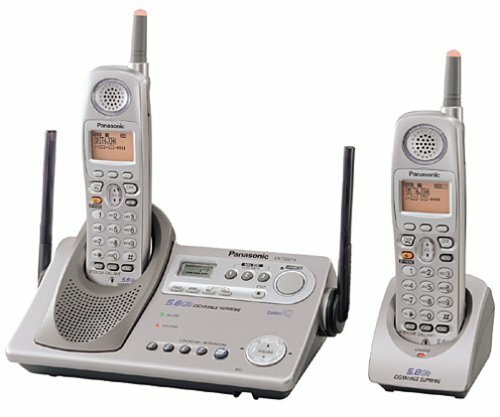 The KX-TG5561M 5.8 GHz cordless phone system from Panasonic offers digital FHSS signal reception for clear, secure calls, plus room to grow. Featuring call waiting and talking caller ID, the KX-TG5561M is able to store up to 50 names and numbers. A light-up antenna alerts you to new calls silently, if you choose, while versatile ringer options let you choose from three sound patterns, four melodies, or even customized ring tones that you can record yourself. A single, metallic grey handset (model KX-TGA552M) is included; the system can be expanded to eight handsets total. Accessory handsets do not require separate phone jacks--just plug the charging cradle into a power outlet, and the handset will automatically configure itself to the base system. Additional features include mute, hold, flash, redial (last number dialed from the base, last five numbers from the handset), and dual keypad and display. 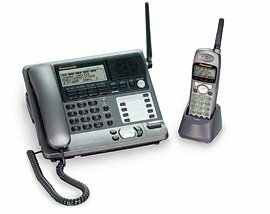 The KX-TG5561M offers speakerphone capabilities from both base and handset, and an intercom system allows communication between handsets and between the base unit and individual handsets. Before I mention some of the phone's good qualities, I must state that I too have horrible battery life. This phone, even after replacing the battery, will only stay on for 10-20 minutes. If you leave it off the charger overnight, the next day it will be dead. The phone, when it does work, has good sound quality during calls. The plastic buttons are large but they are too smooth and slippery. I would prefer a more silicone-like material and grip to them.Menu system is easy to use.If it weren't for that major battery problem, this could be a 4 or 5 star phone.This phone should come w/ a corded phone to use while your phone is charging. I wish I had read these reviews before I spent the MONEY!!!! It seems as though most of the people that wrote a review have the same exact problem that I have had with our phone... I researched this purchase thoroughly, and felt that even though it was very expensive, it had all the things we needed in a phone for our home. Soon after setting it up (within 3 months of purchase) we began having problems with the phone keeping a charge. We were going to buy a new battery, but decided to call panasonic customer service to see if they had any information about it. Pat answers... the said that they would send us a new battery and that should solve the problem. We waited and waited and waited, no battery came so we called and called and called...now we had to leave our information on a service and someone would get back to us, no one did.... still no battery!!! I couldn't believe it and I was so sick of the situation I went online to see if I could get some answers there... I was sure there had to be some type of recall or something, I mean this thing didn't work!Within 24 hours a tech emailed me back saying that I should send the unit back to Panasonic and they would check it out, if there was a problem they would send me a new (refurbished) unit, since it was under warranty (covered for the first year, which if you think about it is really rediculous, shouldn't it work for at least a few years?) I decided to send it in. I had to pay to send it to Texas, and there was a problem, (I was relieved, at least there was something they could do about it!) so they sent me a whole new system (refurbished!)... the new (refurbished!) unit only comes with a 90 day warranty, which is about how long it took for the problems to arise again... within a few months, the phone began to cut out after about 20 minutes of use, and now, it barely holds a charge for more than afew minutes... I have also had the same problem with the display saying to move closer to base, when I have been standing right in front of it... so basically it is worthless... the worst part? I still need a phone and this is the only one that has all the options we need... so I called Panasonic and I emailed them too, they said that for a charge (not cheap) they will look at it and see what is wrong.... etc, basically the same thing as before, are they kidding? I won't be buying from Panasonic ever again... I was pissed off before when it was just my phone, but knowing that so many people are having the exact same problem really is aggravating. I can't believe that they do not stand byt their product and I have no confidence in their company as a result. I will never, ever buy from Panasonic again!! I wouldn't if I were you either! Had this phone for 1.5 years. Like features, i.e. directory that can be shared and sent across the base unit and a handset or ability to correct a number before dialing it (like in a cell phone). From the very beginning battery life was a problem. It was around 1-1.5 hour talk time. 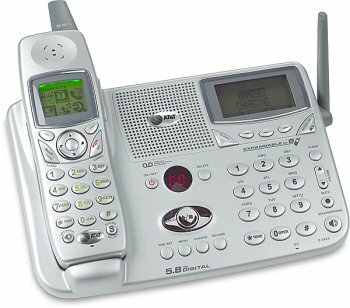 Do not even think about having a conference call with this phone. It got worse and worse and currently I get ~30-40 min. talk time after charging for more than a day. My very old 900MHz Uniden gives me around 5-6 hours of talk time. Sometime after using a phone for ~6 months LCD display on the handset started failing when the battery is fully charged. After talking on the phone for a few minutes display starts working again. The problem is that you need display when you are dialing. The sound quality is OK. It is not better than analog 900Mhz Uniden but not worse. I was pleasantly surprised than I do not get any interference with WiFi 802.11 B/G network. Very disappointed in quality of implementation even though like features in this 2-line phone. I love it, but- today I discovered, you cannot change the outgoing (greeting) messaging from remote access. Ever feel like you need a second phone? 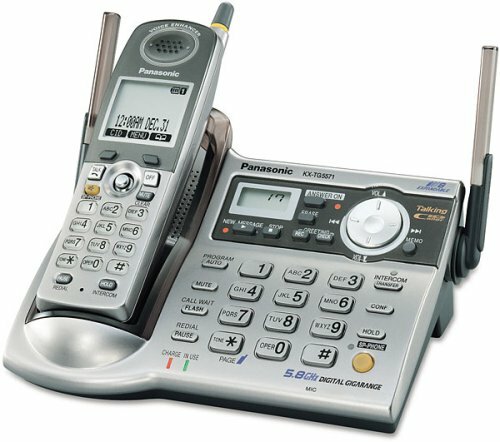 The KX-TG2344B from Panasonic may be the solution, since it's packaged with a second handset and charging cradle. It also comes with a built-in answering system, helping you to consolidate all your communications needs in one easy-to-use machine. 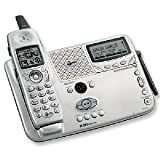 The all-digital answering machine has a 15-minute maximum recording time and can be operated remotely, allowing you to stay on top of your incoming messages even while you are away from home. You can set the outgoing message length to one, two, or three minutes, while voice prompts guide you through operation of the answering system. An LCD call counter lets you know how many messages you have waiting, and a time/date stamp lets you know when each message was received. Additionally, all messages are stored in Flash memory, so if you ever experience a power outage, your messages will be there when you get back up and running. Caller ID and call waiting compatible, the KX-TG2344B stores up to 30 incoming names and numbers. The log is easily accessible via the handset LCD, while a 32-number phone directory helps you to keep track of all your most frequently used phone numbers. A new message indicator lets you know when you have messages waiting, while a low-battery indicator lets you know when to return the phone to its cradle for recharging. If you are running short on countertop space, fret not, the KX-TG2344B is wall-mountable. Handset and ringer controls allow you to adjust volume levels to your liking, while an illuminated keypad makes dialing a snap, even in the dark. Headset compatible for hands-free communication, this phone also comes with a belt clip. A page/handset locator lets you easily find a lost handset, and voice paging from the base allows you to communicate with both handsets at the same time. An intercom function lets you talk between handsets or between a handset and the base, while three-way conferencing allows you to communicate with multiple parties at once. By transmitting on the 2.4 GHz band and utilizing a digital spread spectrum signal and Panasonic's voice enhancer technology, this phone is able to offer clearer reception and greater range than many older cordless phones. Easy-to-use and packed with useful features, the KX-TG2344B also comes backed with a one year limited warranty. We bought this phone about 6 months ago and it's met all my expectations since then.Sound come through clearly and I enjoy the features it has - answering machine, caller ID, speakerphone, dual handsets.It was easy to set up and it's easy to program.From what we found, it was very reasonably priced considering all the features, and dual handsets makes it like 2 phones for the price of one!I'm very happy with my purchase. I was actually quite happy with the phone regarding features and reception, until this week! Realizing that I have not heard the phone ring for a couple(?) of days, I glanced at the base unit to see if everything was alright. There I spied no lights at all glowing. I checked the outlet for power, and then the power transformer from the phone- both were working fine. Re-read the instruction manual for any reset tips, but the base unit was dead. I have 3 other Panasonic phones in the house, but this model is the first dud I have ever had from this company. Great deal on great phone. We've had this set for a few months now, and it works great. Always clear, never drops, works all around the house and out to the street. Handset-to-handset conference function is definitely a plus. I'd recommend to anyone! 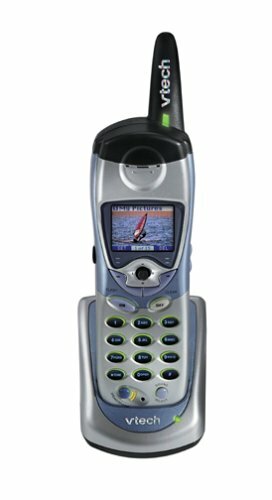 This phone is everything my Uniden wasn't. Easy to set up, easy to use, good sound on the handset speakerphone. I can use it out in the yard. Plus it's a little longer, so that when I hold it to my ear, the mouthpiece is near my mouth, instead of the middle of my cheek. What a concept! Also, coolness: there is a red ring-shaped LED on the top of the antenna, which lights up when you have a message on the answering machine (or when you push the "find handset" button on the base unit.) Anyway, I think it's a very good unit, I hope it lasts. My old, tank-tough Uniden lasted many years, the new Uniden replacement only lasted a few months, died twice, and the second time, Uniden wanted 48 bucks to fix it, even though it was still under warranty. To heck with that. 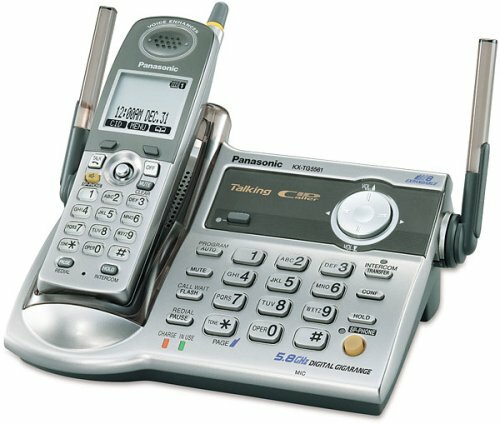 We bought this phone system knowing that Panasonic is a decent brand, but were completely disappointed. The phones have a terrible static noise and calls fade in/out. I looked in the manual for troubleshooting tips and it suggested moving the phones away from other electric devices, which I did, but it didn't help at all. What good are all the other great features if the basic reception is not there? 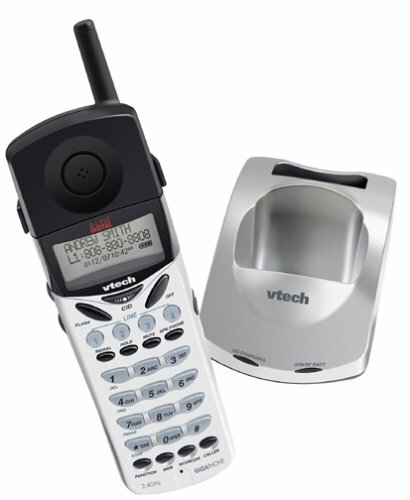 The i5801 from VTech is a 5.8 GHz accessory handset loaded with great features. 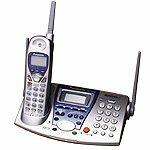 Designed for use with VTech's VT 5831 and i5881 expandable phone systems, the i5801 utilizes the 5.8 GHz frequency and digital spread spectrum technology, providing greater clarity and range than either 2.4 GHz or traditional 900 MHz phones. Plus, 95-channel autoscan automatically eliminates the channels with the most interference. Caller ID/call-waiting-compatible, the i5801 stores up to 50 numbers in memory. You can also download full color images via a USB port and then associate an image with a caller ID number or set it as "wallpaper." An illuminated keypad helps you dial numbers even in the dark, while a page/handset locator makes finding a misplaced handset quick and easy. You can add up to six handsets (total) to your existing system, while an intercom function lets you communicate between handset locations. The NiMH battery has an 8-hour talk time and 5-day standby battery life. The handset menu is easy to navigate with a five-way joystick, which provides access to the phones many features (specific features depend on the base system you're using). A handset control allows you to adjust volume levels to your liking. You can record custom ring tones from your stereo or PC as well as adjust ringer and tone settings. The i5801 comes backed with a one-year limited parts and labor warranty. Great accesory handset, no problems! Excellent quality phone, has been used regularly for over a year with no problems. I have the previous model that is the same but without the wallpaper. I have had for 2 years. 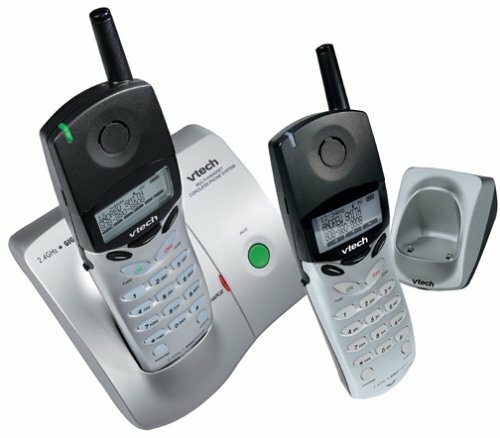 I have noticed that they are losing quality of reception in certain areas of my home and that some buttons on the keypads I am not able to push.I too am having problems with the charger bases.I have two handsets and both will not fully charge and nor sit correctly in the base.Also in going to the vtech website I noticed that htese are on their way out and they are no longer making the additional handsets.I love the style though and wish I could find a similair style with the blue backlighting.I say find a more recent model. Our third handset is on it's way out.3 dead in one year.The keypads go bad (buttons become hard to push, you have to use a pen) and the charging cradle also goes bad; you have to jiggle it just right to get it to charge.All in all the worst phones I have ever purchased. I have bought 3 of these handsets and they all work great. No interference with my wireless network as many have reported w/ base system. Downloading pictures and sound clips to the phone is very easy (simple software worked perfectly) and fun (not great quality but what do you expect). Reception on all 3 is very good with 50 number storage and intercom/speakerphone features on each phone. In summary these phones are user friendly and do what they claim. The i5807 is an accessory handset for use with VTech expandable phone system models i5853, i5857, i5866, and i5867. It utilizes the 5.8 GHz frequency and digital spread spectrum technology to provide clear, accurate reception with less interference than traditional 2.4 GHz and 900 MHz phones. 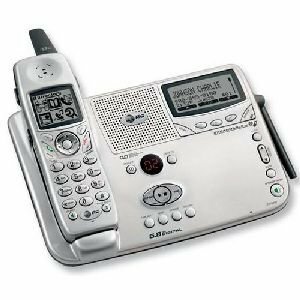 Caller ID/call waiting compatible, the i5807 has a 50-number caller ID memory as well as a 50-name-and-number phone directory to help you keep track of important contacts. You can select among eight ring tones and 12 musical ringers, while the supplied audio patch cord allows you to record custom ring tones (up to 10 seconds each). The full-color handset LCD screen comes with a variety of preset images that you can assign to phone directory entries or set as background wall-paper; the included USB cable and image editor software also allow you to download custom images. An intercom feature lets you communicate with other handsets on the same system, and a handset-to-handset call transfer feature lets you route incoming calls to another handset location. The redial function dials any of the last ten outgoing calls. With any-key answer, you can just press any button on the phone to answer a call. The NiMH battery has an eight-hour talk time, with a standby battery life of up to five days. Handset speakerphone and headset compatibility also provide convenient methods of hands-free communication. The i5807 comes backed with a one-year warranty. Features are nice, with no extra charges for loading music and photos onto the handsets.Even the phone's shape, which we initially hated, has grown on us tremendously.It can stand upright anywhere, and the speakerphone is excellent. Only complaint is the interference on around 15% of the calls -- don't know why this is happening, but this rarely happened with my 2.4 panasonic. For the base unit, the voice mail box sounds terribly electronic.It's like they updated the handsets but used an old-style voice recorder. 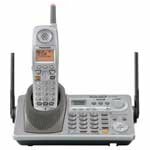 This 2.4 GHz DSS telephone offers call waiting and caller ID, a 50-name and number phone book directory, handset speakerphone, and headset compatibility. The best news of all is that it is expandable, allowing you to place cordless extensions in rooms without the need for a phone jack. Each VT2421 system accepts up to two additional VT2420 accessory handsets, giving you a total of four. The ergonomic design also makes it a hit in both form and function. This factory-refurbished unit is backed by a 90-day warranty. This product is Brand New and comes with a 1 year warranty. This phone was a true disappointment and a stain on the Panasonic brand image. I owned and used this phone for a little over one year before finally giving up.Two things did this phone in: sound quality and battery life. Off the gate, the sound quality was poor.Within a 200 sq ft room where the base station was, I got dead spots.I also got callers complaining that I sounded very faint, cut in and out, and that I sound like I was on a cell phone with bad connection. The deal breaker was the awful battery life.I believe there is a faulty handset design.The handset lost charge faster and faster as time went on.It simply would not hold charge.And yes, I spent $20 and bought a new battery and got the same result.When I can't get through an one-hour conference call on a fully charged handset without the phone dropping dead after 45 min, that was it. I called and e-mailed Panasonic about this and got the generic-- "reset the base station for sound quality problem and reset the handset for the charge problem".They were of no use. I plunk down the money on a 5.8GHz thinking so that it will not interfere with my wireless LAN and got this lemon.I gave it one star for its speaker phone and mute functionalities.FWIW, I now have a 2.4GHz (KX-TG2431).One month in, everything works great.Battery life is excellent, no dead spots anywhere, and no interference with my wireless LAN.And it's much cheaper. It seems to work like it's supposed to.The only thing I don't like about it is, it just doesn't have the range that I thought it would have. In my case, about 50 ft.Not much farther than that or if I move slightly when I'm talking at that distance, it goes in and out.One other thing, when you call the phone from another phone number, the answering machine voice isn't very loud no matter how close I get to it when I'm recording an outgoing message.It's loud enough to hear a message that someone left, but of all the phones I have had in the past, this one has the lowest answering machine volume when a person calling is listening to the recorded message.All in all, I'm satisfied.I guess I was expecting a bit more. Please don't buy this phone - the VTech (which I had previously) is far superior. The battery life on both phones is utterly ridiculous. I have owned this phone for 6 months and already I can't talk for more than 15 minutes (which, for my business is a must) without racing to give out my cell as the phone was about to die. One of them is completely worthless and won't hold a charge, the other lasts for 15 minutes. Panasonic should be ashamed - I wasted my money on this. The features work as they should however, so I can't complain there (thus the 2 stars). What good is it though if the phones don't work? I have had this phone system with two handsets for over 6 months.The sound quality is horrible.All my callers complain about it.The display on one handset already does not work. 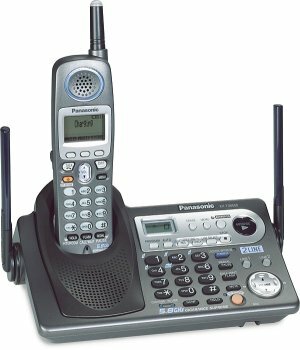 I am very disappointed in this phone system.I have always had a very high opinion of Panasonic products but not anymore. The people writing bad reviews for all the Panasonic Cordless phones must have a different colored phone. If you would read the details on each of the extension phones, for some reason the White Phone has a different type battery than the silver, violet, or black. It has an NiMH battery that can be charged without running down. The others have a NiCAD battery of which I can't figure out why. It doesn't make since to have one you have to run completely down. You should have full time usage of the cordless phone. I never leaave my phone off the charger for a long time. It's always back in the charger by at least bedtime. I love the phones except for that. I don't know panasonic was thinking about. They should make all the other ones good by supplying a NiMH battery and a new charger. A nice system overall, but not nearly perfect. 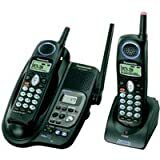 We purchased a set of these to replace our burnt out Siemens Gigaset 2402 system. While we were happy to have something that worked (the Siemens system had died a slow death over about a year and ultimately became unusable after a little over two years of use) the features and design of this system leave much to be desired. Numerous minor inconveniences and awkwardnesses make these phones less than they could be--nothing major, and perhaps only noticeable when compared with the excellently designed Siemens phones (really nothing more than the difference between Japanese and German design).